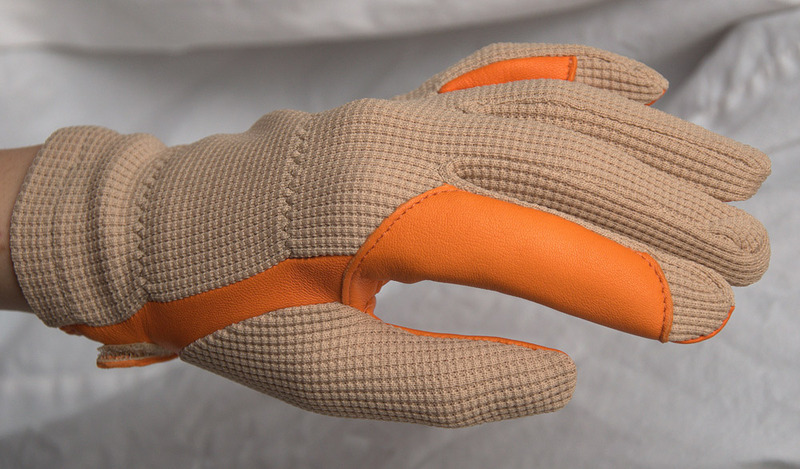 Over the years our knit back glove has proved a stalwart across all Equestrian disciplines but especially in Eventing where personal colour combinations are so important. The opportunity to combine over 50 leather colours with a choice of 5 different knit back colours of White, Navy, Brown, Black and Beige is the starting point = 250 different combinations! Holly Barber and 9 year old Exparta D’Atela Working Equitation World Championship team member 2018 from Pine Lodge School of Classical Equitation, Norfolk sporting her striking mismatched sport knit back gloves.